I’ve always been a fan of the beach. I love the sound of the waves crashing, the fresh air and the overall calm feeling of being at the beach. Redondo Beach Pier is one of my favorite places to go to. Aside from the beautiful view, there are also plenty of delicious places to dine. 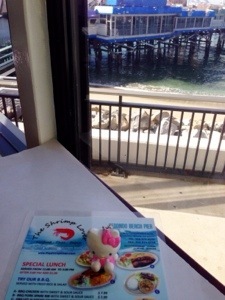 It seems every time I go to Redondo Beach pier, I discover new eateries. One of these places, I recently got to go to is The Shrimp Lover. 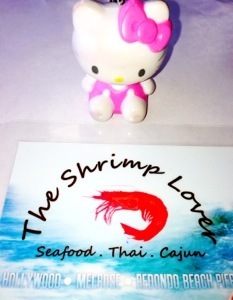 The Shrimp Lover is a restaurant specializing in Cajun/Creole and Thai Food. Walking into this restaurant, I became an instant fan. It’s very cute with lots of beach themed decorations such as a treasure chest up at the front of the restaurant and a fish net on the ceiling. The tables are laid out right next to the large windows facing the beach. I love the tableside view of the pier! Their menu is very cute as well. I love how they named their menu sections (“Deep to the Sea” for their boiled seafood. “On the Beach” for their fried seafood. “Sea side” for their side orders. “Get Special Delight” for their Thai food specialties. “Drive to the Ocean” for their soup. “Cool Down” for their drinks.) My friend and I ordered a couple of things from some of the sections. 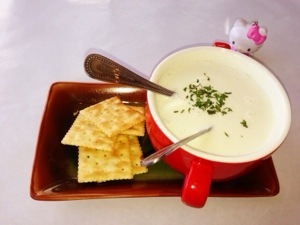 From the “Drive to the Ocean,” my friend got their newest soup offering, clam chowder. A very hearty looking bowl of thick clam chowder was presented to my friend. It was accompanied with some crispy crackers. Since I am not a seafood eater, I was thrilled that this restaurant offered Thai food! I love Thai food and was super happy to see some of my favorite Thai dishes were being offered here. We ordered pad thai with chicken and was impressed with the plate full of fresh, long, soft stir fried rice noodles, tender chicken and crispy peanuts. 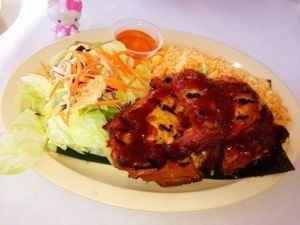 I also got to try the BBQ chicken with a side salad and fried rice. I was such a fan of this plate because everything was so flavorful. The side salad had a nice, sweet Thai dressing. The BBQ chicken was seasoned perfectly. The fried rice had a good java flavor. Aside from how tasty this plate was, it was also impressive how large the portions were. The chicken was half a chicken and enough for two meals! As we were dining here, I could not help see another of their beach themed decorations. It was a lifesaver with the words “Life is good.” It seemed perfect for this dining moment because I truly felt how life indeed is good. Dining good eats with a table side view of the blue ocean, the crashing waves and the sun shining. Life is good, indeed. 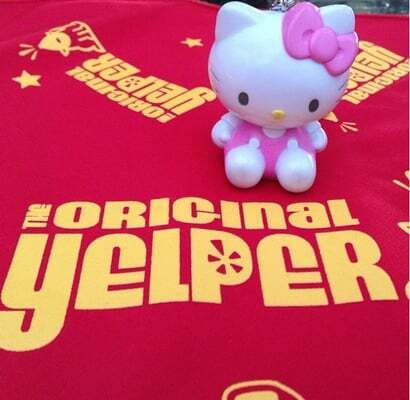 For more smiles, please read my recent Yelp review on The Shrimp Lover.